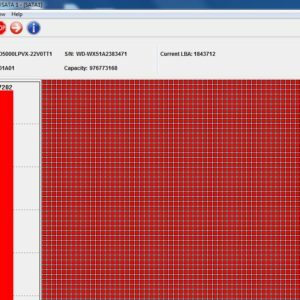 This is one physical data recovery case study from Smart Computech, DFL India on how to recover lost data from head damaged ST2000LM007 case. When the engineer received the ST2000LM007 case, connected it to the DFL-SRP, power on the drive, it was clicking and then powered off the hdd immediately. From the clicking noises, engineer has learnt it’s head damage and must handle it properly and carefully. 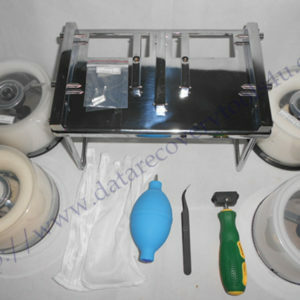 The patient hard drive was brought to the clean room and opened, it was the top head which got damaged and sticken to the platter surface and the other head parked on the surface too. The only solution is to carefully remove the parking ramp and move the heads out technically and then install donor heads to the patient drive. For Seagate LM hard drives, users need to use the special LM SLIM hard drive head comb suite due to the different head structure. After the successful physical head swap, the hard drive has been detected with reallocation problem and the engineer need to use the new Seagate firmware repair program to unlock the hard drive and then access to the SA and backup the key modules specially the ROM, translator, Plist and NGlist. For this case, one simple unlock fixed it and then the engineer switched to DDP data recovery program for file extraction. Finally all lost data had been recovered. Congratulations to Jignesh for fixing another case perfectly.